Minicoy, locally known as Maliku (Dhivehi: މަލިކު [məliku]; Malayalam: മലിക്കു) is an island in Lakshadweep, India. Along with Viringili, it is on Maliku atoll, the southernmost atoll of Lakshadweep archipelago. Administratively, it is a census town in the Indian union territory of Lakshadweep. Minicoy islanders have long settled in the Nicobar Islands across the Bay of Bengal. These settlers regularly travelled back to Minicoy. The Andaman and Nicobar Islands had a reputation in the Maldives and Minicoy of being inhabited by cannibals, and so collectively the Andaman and Nicobar groups were called "Minikaa-raajje" by Maldive and Minicoy islanders. This meant "cannibal kingdom". A British official once asked a Minicoy islander what the name of his island was. The islander told the official that he was from Maliku but usually lived in "Minikaa-raajje" (Nicobar). The official thought Maliku and Minikaa were the same place and recorded the name of this islander's home as "Minikaa". This later became anglicised as Minicoy. Little did this islander know that as a result of this cross-cultural exchange, his home would forever be called by a name that sounded like "cannibal" in his own language. Minicoy is the second largest and the southernmost among the islands of the Lakshadweep archipelago. It is located 201 km to the SSW of Kalpeni, at the southern end of the Nine Degree Channel and 125 km to the north of Thuraakunu, Maldives, at the northern end of the Eight Degree Channel. The atoll is 10 km in length, having a maximum breadth of about 6 km. The closest geographic feature is the Investigator Bank, a submerged shoal located 31 km to the northeast. It is located 400 KM west off the coast of Trivandrum. The atoll contains two islands. The main island is located on the eastern and southeastern side of the lagoon, along the reef fringe. It measures about 10 km from its northern end to its southernmost point and it is about 1 km wide in its southern half, while the northern half is a narrow sandspit, often less than 100 m wide. Minicoy is almost completely covered with coconut trees. One of the few landmarks of the island is a tall lighthouse. On the southern side of the main island lies the uninhabited islet of Viringili (Dhivehi: ވިރިންގިލި ; Malayalam: വിരിന്ഗാ, also called the Small Pox Island), measuring barely 200 m in length. Formerly the lepers of Minicoy were banished to this island where they lived in abject conditions. Maliku Atoll has a lagoon with two entrances in its northern side, Saalu Magu on the northeast and Kandimma Magu on the northwest. Its western side is fringed by a narrow reef and coral rocks awash. The interior of the lagoon is sandy and of moderate depth, rarely reaching 4m. It has some coral patches. This atoll is administered under the Indian Union Territory of Lakshadweep. Nine Degree Channel separates Minicoy and Laccadive Islands. The closest island to Minicoy is Thuraakunu in the Republic of Maldives. Since 1956, the Indian Government has forbidden the direct travelling between the two islands despite their geographic proximity and ethnographic similarities. Maliku Kandu is the traditional name of the broad channel between Minicoy (Maliku) and Ihavandippulhu (Haa Alif Atoll) in the Maldives. In the Admiralty Charts it is called Eight Degree Channel. Other names for this channel are Addigiri Kandu and Māmalē Kandu. It appeared in old French maps with the name Courant de Malicut. Minicoy has a tropical savanna climate (Köppen climate classification Aw) with warm temperatures throughout the year. Precipitation falls during most of the year; only January to March are relatively dry. There are remains in an area of the island known as "Salliballu" dating back from Minicoy's Buddhist past, about 800 years ago. The most conspicuous archaeological sites are two mounds or large heaps of ruins belonging to a stupa and another related structure. These sites were investigated by the Archaeological Survey of India in the 1980s. The excavations yielded few discoveries, for the sites had been much damaged and vandalized previously. Still, a much-damaged large Buddha head was found buried in the area. The name "Salliballu" originated in the local name for the "Christian cross", because the locals say that an inscription with a "cross" was found there. But it is likely that, coming from a Buddhist site, it was a cross-shaped Mandala or Visvavajra, like those often found on inscriptions in archaeological remains in the Maldives. Local oral tradition has it that Kamborani and Kohoratukamana, two princesses from the Maldives, came to Maliku. When they arrived, the tivaru, who had been living there before, left the island for Sri Lanka. The Kamborani's descendants are the bodun (land- and shipowners) and the descendents of Kohoratukamana are the niamin (captains). The other status-groups are made up of the descendants of their crew. The affiliation of the island to the Laccadive Islands now known as Lakshadweep is rather recent. The term Lakshadweep, according to folk-etymology, means a hundred thousand islands. The Laccadive group consists of only 25 islands and it is unlikely the name refers to a numerical value. According to ancient Sanskrit literature the term originally applied to all the island groups SSW of the Indian Subcontinent, that is the Laccadive-Maldive-Chagos archipelagoes. Even then the number of islands is only around 2000. The kings of the Maldives styled themselves as "Kings of Twelve Thousand Islands". This indicated a huge number rather than a numerical value. In the old Maldive duodecimal system of counting, twelve thousand was a round figure such as a hundred thousand in the decimal system. Clearly, therefore, twelve thousand was the figurative duodecimal equivalent of the decimal a hundred thousand. Even today in Maldive and Maliku speech, terms such as lakka duvas (a hundred thousand days) are used to refer to a huge number- in this case, a huge number of days (or time). Until the 16th Century, the Laccadives appear to have been under the suzerainty of the Kolathiri Raja of Chirakkal in what is now the Indian state of Kerala. With the Portuguese ascendancy in the region, it became necessary for the Kolathiri to transfer sovereignty of the islands to their hereditary admiral, the Ali Raja of Kolathunadu | Cannanore. It is unclear if Maliku was included in this transfer or if in fact Maliku ever formed part of the dominions of the Kolathiri. Still, until relatively recently, the kings and queens of the Maldives issued edicts addressed to the subjects in their realm Malikaddu Midhemedhu. This meant "Between Maliku and Addu". Previously Addu was the Southern-most island in the dominions of the Maldive kings and was in Addu Atoll. The island was dredged off by the British in 1959 to construct the airfield on neighbouring Gan island. As late as AD 1696, a grant issued under the Seal of the King Siri Kula Ran Mani of the Maldives referred to him as Malikaddu Midhemedhu ekanuonna mi korhu anikaneh nethee korhu which meant "Sole Sovereign with no other over what lies between Maliku and Addu". The grant was issued in the matter of the building and upkeep of a mosque in the island of Finey in Thiladhummathi Atoll, Maldives. On 18 December 1790 Maliku was surrendered to the Court of Directors of the English East India Company by the Ali Raja of Cannanore, Junumabe Ali-Adi Raja Bibi II. The Ali Raja was allowed to administer Maliku in return for a tribute to the East India Company. She continued to dispute the transfer of sovereignty but in 1824, her successor, Mariambe Ali-Adi Raja Bibi made a formal written recognition of the suzerainty of the East India Company. She and her successors, however, continued the tributary arrangement. On 27 July 1795, the Governor General of the Presidency of Madras under whose jurisdiction Maliku was, abolished Junumabe Ali Adi-Raja Bibi's coir monopoly. This was the beginning of the end of the Ali Raja's real control over Maliku. In 1857, suzerainty over Maliku transferred from the East India Company to the Indian Empire when Queen Victoria was proclaimed Empress. In 1905 under the heavy burden of debts to the Empire, Mohamed Ali-Adi Raja agreed to surrender sovereignty and control over Maliku. He died before the formal transfer. After an attempt to back track, his successor Imbicchi Ali-Adi Raja Bibi finally signed over Maliku to the Emperor Edward VII on 9 February 1909, back dated to 1 July 1905. Following this, Maliku was annexed to the District of Malabar. In August 1947 the possessions of the Emperor of India passed to either the Indian Union or Pakistan according to an agreed demarcation line. The rulers of the independent countries that were vassals of the Emperor had the choice of acceding to either India or Pakistan. While Maliku was a sovereign possession of the Emperor and not that of an independent country such as Cannanore, Kashmir or Hyderabad, it is unclear why India felt it necessary to hold a plebiscite in Maliku in 1956 to determine whether or not the people of Maliku wished to join the Indian Union. A referendum was held and an absolute majority of the Malikun decided to join the Indian Union. On 1 November 1956, Maliku was incorporated into the Union Territory of Laccadive, Minicoy, and Aminidivi Islands, renamed Lakshadweep in 1973. At this time, Maldives was still not independent from the British. It is also unclear on the transparency of the plebiscite and legitimacy of India to hold it if Maliku was a sovereign possession of the Emperor. There were frequent contact between the Maldives and Maliku travelers, but this was subsequently banned by the Indian government. Maliku Atoll has been under Indian administrations since mid 16th century. It was the northernmost atoll of historical Maldives before mid 16th century. In December 1976, India and the Maldives signed a maritime boundary treaty whereby Maliku was placed on the Indian side of the boundary. However, on 26 July 1982, Abdulla Hameed, the half-brother of Maldivian president Maumoon Abdul Gayoom and the Minister of Atolls for the Maldivian government, gave a speech in which he declared that Minicoy Island was part of the Maldives. The speech caused a minor diplomatic crisis between India and the Maldives, and Gayoom clarified that the speech was intended to highlight the linguistic, cultural, and religious ties between the Maldives and Minicoy and that the Maldives was not intending to make a political claim over the atoll.. However, on social media, Maldivians increasingly express that Minicoy is a part of Maldives. Some time in the past (perhaps during the 17th century), Minicoy was devastated by a great cyclone which destroyed most houses and a great number of coconut trees. Following the catastrophe, a delegation of Minicoy islanders from the best families in the island sailed to the King in Male' asking for gold to help them through the hard times. However, the Maldive King told them that he had not enough money in his treasury as he had faced a Malabari invasion from the King of Kannur recently who stole the entire treasury and that he was not able to help them. Hence the delegation of Maliku nobles went onwards to the Malabar coast, where they found favor with the king of Cannanore (Kannur) who welcomed them and helped the Minicoy people to rebuild their island in exchange for their loyalty. 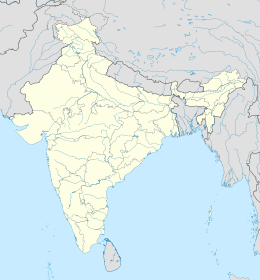 Henceforth the Minicoy Islanders owed allegiance to this kingdom of the SW Indian shore..
As of 2001[update] India census, the island of Minicoy had a population of 9,495. Males constitute 49% of the population and females 51%. Minicoy has an average literacy rate of 82%, higher than the national average of 74.04%: male literacy is 84%, and female literacy is 80%. In Minicoy, 12% of the population is under 6 years of age. The people of Minicoy are ethnically Dhivehis and make up the third subgroup of Dhivehis referred as Mahls. The people locally identify themselves as "Malikun". The cultural traits of Minicoy differ from those of any other island in Lakshadweep. Manners, customs, lifestyle and food are similar to those of the Maldives to the south of Minicoy and Malikubas (officially referred as Mahl by the Lakshadweep administration), a dialect of Dhivehi language, is spoken on the island. Like in other Dhivehi-speaking communities, the right-to-left Tāna script is used for writing. The social structure is anthropologically interesting, being a matrilineal Muslim society with natolocal residence. A man will live in either his mother's or his wife's house. Remarriage for both men and women is accepted. Property is inalienable and owned by "houses" (matrilineal descent groups). As Muslims, they have conservative customs and traditions and yet they are liberal in approach. Here a man after marriage stays a member of his own mother's house throughout his life. Quite frequently Minicoy is referred to as the "female island" mentioned in the travelogue of Marco Polo. Thuraakunu in the Maldives is the closest island to Minicoy. Formerly there was direct trade between both, and fishermen from both islands used to visit each other. This exchange continued even after Minicoy became part of the Indian Union after independence. However, since 1956 the Indian government has forbidden these visits between two nations. The people of Maliku are known as good sailors, and also for boat building and other crafts. The Indian seafarers originated from Maliku island. The bodun owned land and bandu-odies (merchant ships); they were the vering (rulers). The niamin were pilots of the Bandu-odies and while on shore assisted the bodun in administrative and other leadership functions; they were custodians of property and supervised public work. The medhukimbin and the raaverin were working classes (the medhukimbin enjoying a status higher than the raaverin.) The raaverin tapped coconut palms for toddy, a distinctive beverage converted into sweet palm syrup. Coconut vinegar, known as raahuiiy, was also produced by the raaverin. Each village of Maliku has a Bodukaaka (male mayor) and Bodudhatha (female mayor) who conduct village business at a gathering known as Baemedu. The Bodukaaka announces Baemedu by sending children of the village to each house. Male members gather in the village house to learn the purpose of the Baemedu. After the work is finished, there is a feast prepared by female members of the village. A newborn child is named on its day of birth (this is different from the Maldivian tradition of being named on the seventh day). The baby normally stays in the room in which it is born (which is customarily the ancestral home of the mother) for the first six days. The mother's house name becomes the child's surname. On the seventh day after birth, the baby is taken to the father's ancestral home, where jewellery is presented. After 20 days, the baby's head is shaven and the hair is weighed against something of value, traditionally gold or silver, which would be given to the poor. This ceremony is called boabeylun. Circumcision of boys is followed by much celebration. Dancing and drumming in the evening forms part of the entertainment. The festivities usually continue for about a week. Minicoy islanders, like the other Lakshadweep islanders, follow Islam. Persons who had taken up permanent residence in Minicoy at any time before 1967 and members of the families of such persons. Member of the Armed Forces of India entering Minicoy on duty. Persons serving in connection with the administration of the Union Territory of Lakshadweep proceeding to Minicoy on official duty and members of their families. Officials and non-officials sponsored by any of the Ministries or Departments of the Government of India or the Administrator of Lakshadweep. Indian Tourists permitted by the Administrator of Lakshadweep. Non-Indian nationals permitted by the Ministry of Home Affairs of the Government of India for visits for such periods as may be specified by the Ministry, or the Administrator of Lakshadweep. Employees of the Indian federal and state governments, Indian public sector undertakings and bona fide domestic servants and cooks permitted by the Administrator of Lakshadweep. Maldive nationals permitted by the High Commissioner of India to the Maldives to visit specifically Minicoy for the period not exceeding fifteen days. Such persons may not disembark on any other Lakshadweep island unless permitted as per point 6 above. The High Commissioner of India in Malé shall intimate the names of the persons whose visits are permitted and the period of their stay to the Administrator of Lakshadweep sufficiently in advance. The Administrator may, on valid grounds, extend the period of stay of Maldive nationals. MV Corals, MV Lagoons, MV Amindivi, MV Arabian Sea, MV Bharat Seema, MV Dweep Setu, MV Kavaratti, MV Lakshadweep Sea and MV Minicoy are the important passenger ships connecting Lakshadweep with Kerala. The passage takes between 14 and 20 hours. Agatti Airport is the only civilian airport in Lakshadweep. Helicopter transfer is available from Agatti to Kavaratti throughout the year. The flight from Cochin to Agatti takes approximately one hour thirty minutes. Flights operate six days a week. The Government of India is planning to develop an airport at Minicoy Island to boost tourism and promote tuna fishing industry for improving livelihoods in Lakshadweep. The emergence of historic port city Vizhinjam (Trivandrum) to its ancient glorious state as one of the major cities in India had forced the Ports Department to dust up an old proposal to launch a passenger ship service between Trivandrum and Minicoy. The distance between Trivandrum and Minicoy is just 398 km. Lakshadweep authority is also seeking for an opportunity to invest in Kollam Port. They are ready to investment for a passenger terminal with dormitory facilities and an office to guide the people of Minicoy reaching at Kollam Port. Traditionally, Lakshadweep’s connections with the mainland have been through Trivandrum, Kochi and Beypore ports. But Minicoy, a small atoll at the southernmost end of the archipelago, is closer to Kollam than to either Kochi or Beypore. ^ "Islandwise Area and Population - 2011 Census" (PDF). Government of Lakshadweep. Archived from the original (PDF) on 22 July 2016. ^ "Minicoy Island". Official Website of MINICOY Island, Lakshadweep. Retrieved 1 August 2016. ^ "Minicoy Climate Normals 1971-1990". National Oceanic and Atmospheric Administration. Retrieved 25 December 2012. ^ Ellen Kattner, The Social Structure of Maliku (Minicoy), listed below (online). ^ "India–Maldives: Agreement between India and the Maldives on Maritime Boundary in the Arabian Sea and Related Matters", in Jonathan I. Charney and Lewis M. Alexander (eds., 1998). International Maritime Boundaries (Leiden: Martinus Nijhoff Publishers, ISBN 978-90-411-0345-1) pp. 1389–1399. ^ a b Ramesh Trivedi (2007). India's Relations with her Neighbours (Isha Books, ISBN 978-81-8205-438-7) p. 177. ^ "How to reach the Union territory of Lakshadweep". lakshadweep.nic.in. Retrieved 2014-08-27. ^ "Lakshadweep's Minicoy Island to get airport". The Hindu Business Line. 8 November 2017. Retrieved 10 November 2017. ^ "Kollam to Minicoy". Google. Retrieved 2014-08-27. ^ "Lakshadweep keen on investing in Kollam port". The Hindu. Retrieved 2014-08-27. ^ "Passenger Ship Service Likely between Kollam and Minicoy". The New Indian Express. Retrieved 2014-08-27. Bell, H.C.P. : The Maldive Islands, An account of the physical features, History, Inhabitants, Productions and Trade. Colombo 1883. Ellis, R.H.: A Short Account of the Laccadive Islands and Minicoy. Government Press, Madras, 1924. Kattner, Ellen: The Social Structure of Maliku (Minicoy). In: International Institute of Asian Studies (IIAS) Newsletter. Nr. 10, 1996, S. 19-20. (Online at http://www.maldivesroyalfamily.com/minicoy_kattner.shtml). Kattner, Ellen: Bodu Valu – Big Ponds: Traditional Water Management and its socio-cosmic Implications in Minicoy/Maliku, an Indian Ocean island. In: Ohlig, Christoph (ed.) Antike Zisternen. Publikationen der Deutschen Wasserhistorischen Gesellschaft, 9. Norderstedt: Books on Demand GmbH, 2007, pp. 145–172. "The Encyclopaedia of Islam", new edition, Index Volume, Fascicule 2, Glossary and Index of Terms, Bill, 2006, LARGE book-size paperback, 592 pages, ISBN 978-90-04-15610-4. Wikimedia Commons has media related to Minicoy Island.